Make yourself at home in a La Loft stylish, newly-built, and fully-furnished apartment or two-level townhouse in upmarket and leafy Unley, located on the fringe of the Adelaide business district. Offering more space, privacy and freedom than a hotel room, La Loft accommodation provides luxurious serviced and self-contained options close to cafes, boutique shopping and business centres, putting you in the midst of Unley’s cultural and entertainment hub. 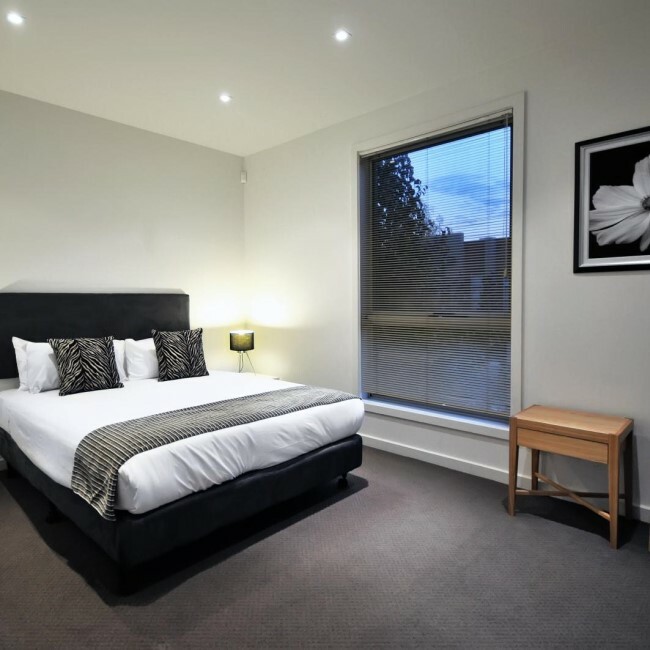 Our Unley apartments have all the comforts of home with hotel- quality facilities, featuring two bedrooms, two bathrooms with showers, and a large fully-equipped kitchen with stainless steel appliances including dishwasher and microwave. A washing machine, dryer and iron are available in each apartment for your convenience. The open living area showcases a television and DVD player, with wireless internet connectivity available. Take in the picturesque ambience of Unley on your large private balcony complete with comfortable outdoor furniture, and securely park your car in the double garage on the ground floor with direct entry to the apartment. The building on Charles Street is well-suited to professionals needing easy access to the central business district (Adelaide CBD), which is just one kilometre away. Whether staying in Unley for work or for leisure, step out of your door to join the best of Adelaide’s café and bar culture and spoil yourself in the finest of Adelaide’s boutiques selling designer fashions and artisan homewares. The nearby restaurants offer something to please everyone including Asian, Italian, Indian and Modern Australian flavours, vegetarian and vegan delights and tempting dessert bars. Likewise, take a short walk to chic King William Road to experience fabulous food and wine, specialist health and beauty services, and purchase quality apparel, homewares and gifts. Our Unley apartments are available for short-term bookings of a few nights, or long-term executive accommodation for several months. La Loft Apartments are also a great option for those in the process of moving to Adelaide and seeking an impressive and relaxing living space while relocating, or for those who simply prefer an alternative to a real estate lease. Booking directly with La Loft Apartments through this website or via our reservations line guarantees that you will have the best available rate, with no hidden fees and flexible terms. The longer you stay, the better your rate. Our website showcases the lowest publicly available fee. If you do find a better online rate, we can usually match it and provide a further 10% discount. We understand that your circumstances can change at short notice, and we invite you to call us should you need to amend your reservation. If you update us on your plans two days (48 hours) prior to arrival, you can rest easy knowing there will be no extra charges to cancel or amend your booking. 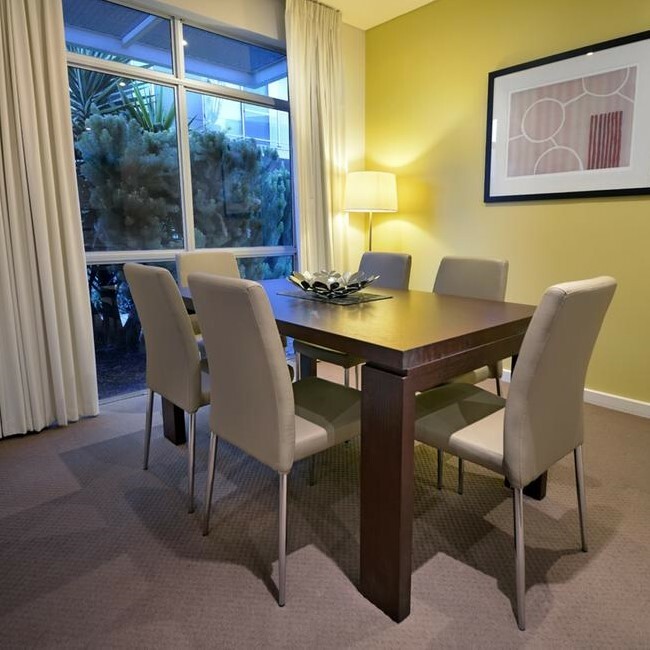 The person you speak to when making your booking for our apartments in Unley will most likely welcome you to the residence when you arrive. Please feel free to ask any questions about the apartment, or how to make your stay a wonderfully memorable experience. Take a look through the photographs on our website of the new La Loft Apartments in Unley and contact us to start planning your cosmopolitan lifestyle or retreat. We look forward to welcoming you. Save by booking directly with us today!